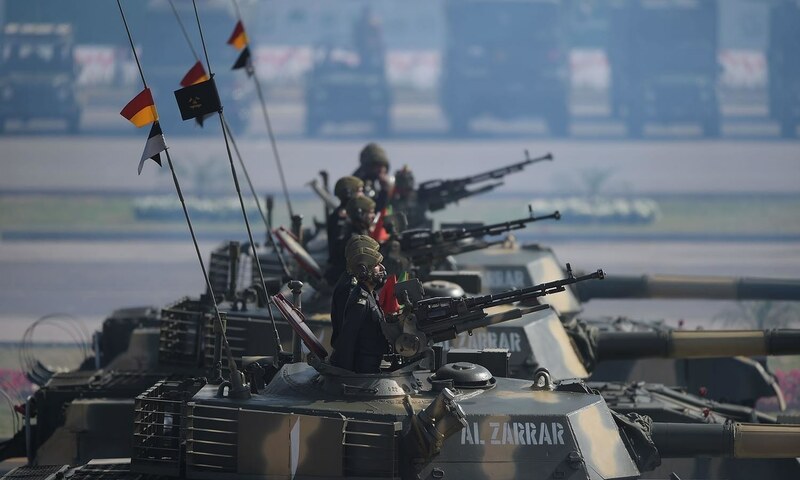 Trials are underway to select a new firearm for the Pakistan army to replace its G3 battle rifle and Chinese Type-56 AK-47 clones, which will also include upgrading facilities at the state-owned Pakistan Ordnance Factories (POF). A recent visit to Pakistan Ordnance Factories (POF) by Pakistan’s Chief of Army Staff (COAS) General Raheel Sharif has shed light on a requirement for what seems to be a new standard infantry rifle for the Pakistan Army. Numerous photos released by Inter Services Public Relations (ISPR) show General Sharif as well as other senior Army officers inspecting assault and battle rifles from a number of overseas vendors. 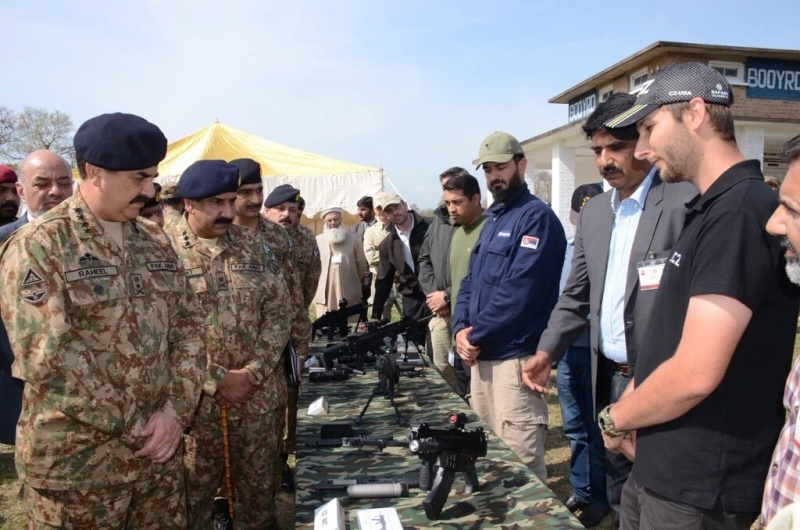 The rifles present during General Raheel’s visit included the FN Herstal SCAR [Special Operations Forces Combat Assault Rifle], Česká Zbrojovka CZ-806 BREN 2, Zastava M21, Beretta ARX-200, and Kalashnikov AK-103. Representatives from each of the aforementioned companies were also present. "The rifles in the running to be the next Pakistani individual weapon are the Beretta ARX-200, CZ-806 Bren 2, FN SCAR, Kalashnikov AK-103, and Zastava M21. Interestingly, the caliber of the new weapons seems to be undecided. 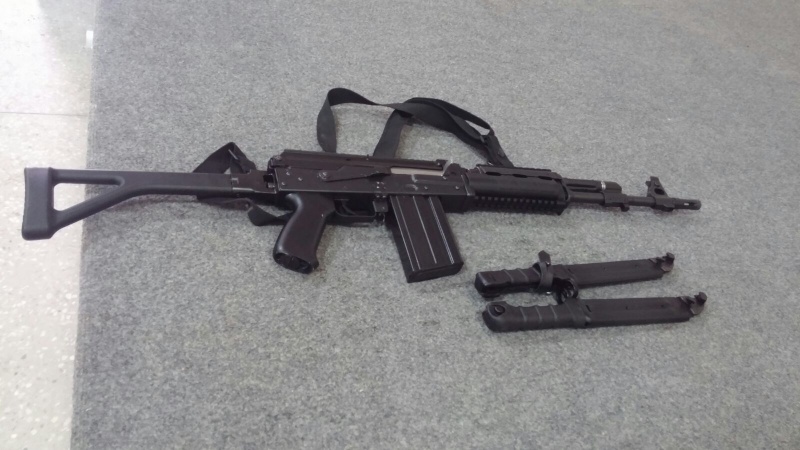 The AK-103 is chambered for the 7.62x39mm Russian caliber, while the ARX-200 in 7.62x51mm NATO caliber. The FN SCAR may be either the 7.62×51 NATO -H variant, or the 5.56 NATO -L variant. The CZ-806 and M21 are both in 5.56mm, however. 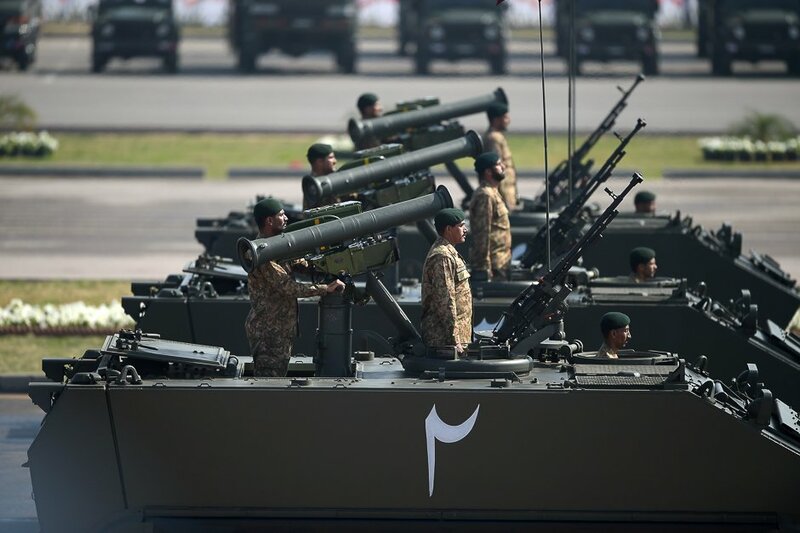 Oddly, Pakistan’s close defense partner, China, does not appear to have a rifle in the running, although it could offer either its QBZ-97 or QBZ-03 rifles in 5.56mm if desired. 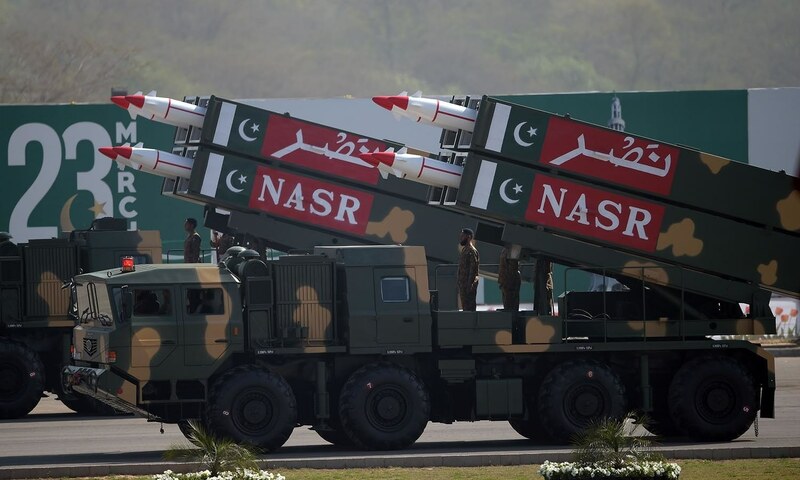 The primary focus of the new program is to not only upgrade the existing rifle designs, but to upgrade the Pakistani Ordnance Factory to a more modern standard, thereby ensuring Pakistani small arms autonomy for the 21st Century." However, there are few issues with this text. First of all Serbia is not participating with M21 in this tender but highly modified M77, using components that were developed for M21. 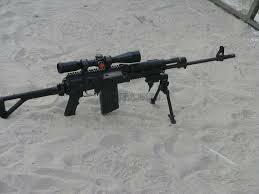 Which means its in "heavy" NATO caliber 7,62x51 aka .308 Winchester. Judging by words from one of the insiders from Serbian forum Serbian variant outperfomed every other contestant in terms of durability and was on pair with them in terms of winter operations. This is the one in pics. 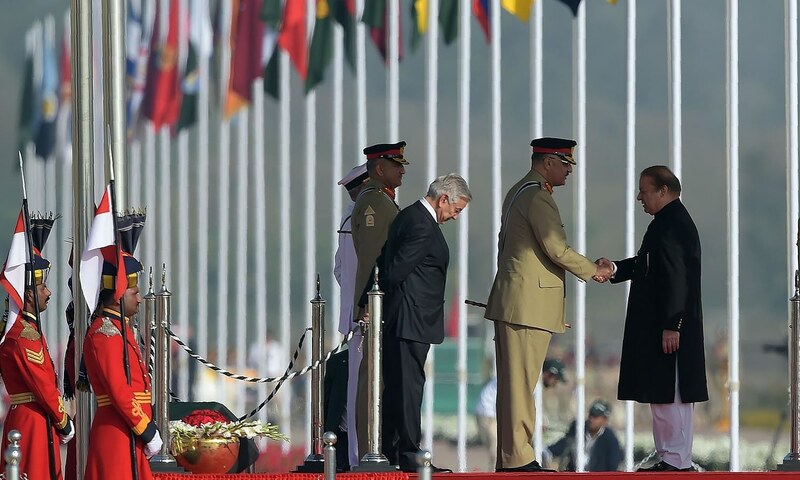 Pakistan wants to obtain two rifles, one in .308 and one in assault rifle catrige 7,62x39 where it seems main candidate is Scar Light... Anyways if Zastava would win this tender (probably wont happen due to political reasons) it would be one of the biggest military contract we ever signed. Pakistani tender: Chinese tank MBT3000/VT4 vs Ukrainian BM "Oplot"
George1 wrote: Pakistani tender: Chinese tank MBT3000/VT4 vs Ukrainian BM "Oplot"
They'd have to be fools not to go with the MBT3000. State enterprise "Malyshev Plant" (Kharkiv) is preparing a planned shipment of another large batch of the engine compartment (MTO), and other major parts and components for the production of Al-Khalid tanks to Pakistan. "In 2015, the Pakistan Army evaluated a number of next-generation main battle tanks (MBT), including the Chinese NORINCO VT-4. The program is under the designation “Haider,” a new MBT positioned to support the al-Khalid series of MBTs in the Army’s tank formations. 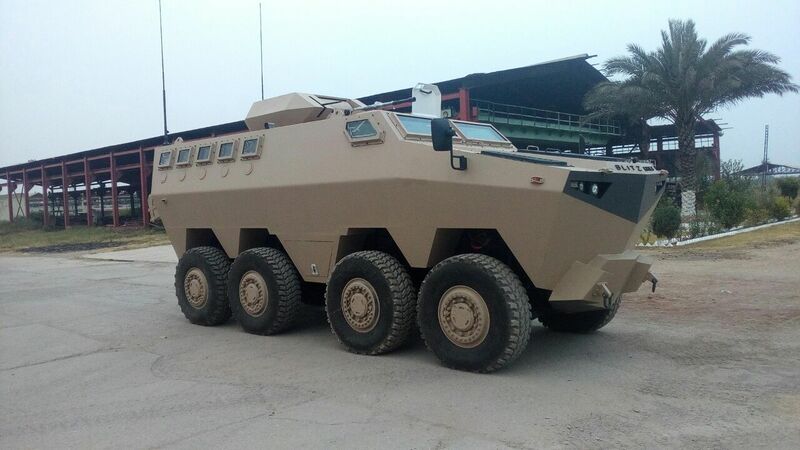 The aforementioned technology can also be applied to wheeled vehicles as well, such as the 8×8 armoured personnel carrier (APC) the Army has been seeking for some time. In parallel with its tracked armour, the Army could even build up a mobility-centric offensive element as well." 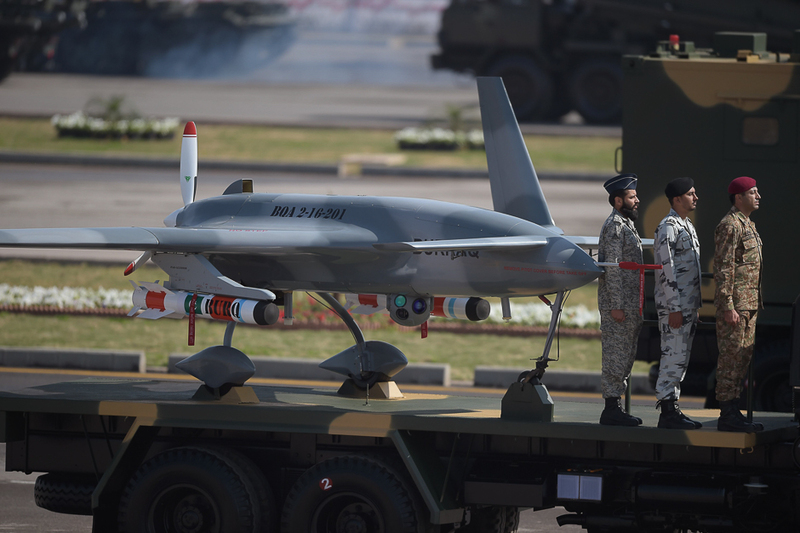 On the 9th Defence Exhibition IDEAS-2016 to be held from 22 to 25 November 2016 Karachi (Pakistan), Pakistan's private company Blitzkrieg Defense Solution (sic!) 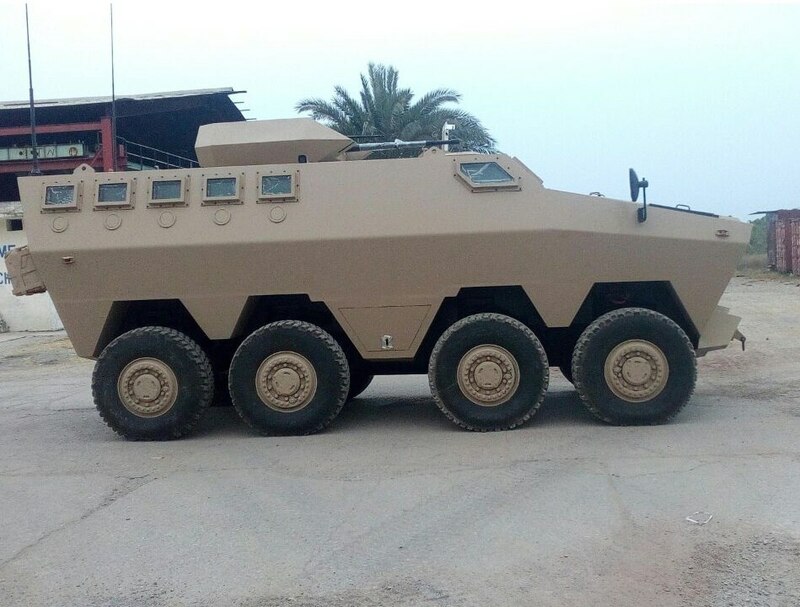 From Islamabad, hitherto specialized in vehicle booking and production of personal protection, will present the first prototype developed by the HAMZA armored car 8x8. The machine (referred to as Multirole Combat Vehicle - MCV) is at the initial stage of testing. So this is what they went for after they made scandal regarding Serbian Lazar. Militarov wrote: So this is what they went for after they made scandal regarding Serbian Lazar. Militarov wrote: So this is what they went for after they made scandl regarding Serbian Lazar. Lazar was for police.. the deal was cancelled because it involved bribes. And this will be for the army ? Good luck with that. 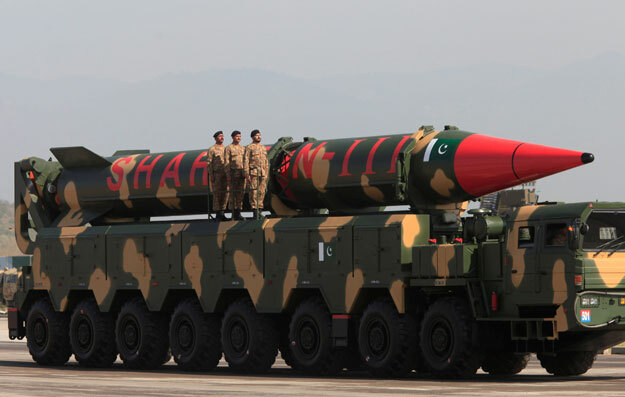 Actually rumor says Pakistani kept going with a deal till they picked what they could from Plana factory and then just started running in circles screaming "bribe, bribe", to cut the deal and end up with cheaper domestic development. Not really a few lazars were bought for Sindh Police but the deal was cancelled because of a corruption scandal.The supreme court annulled the deal. 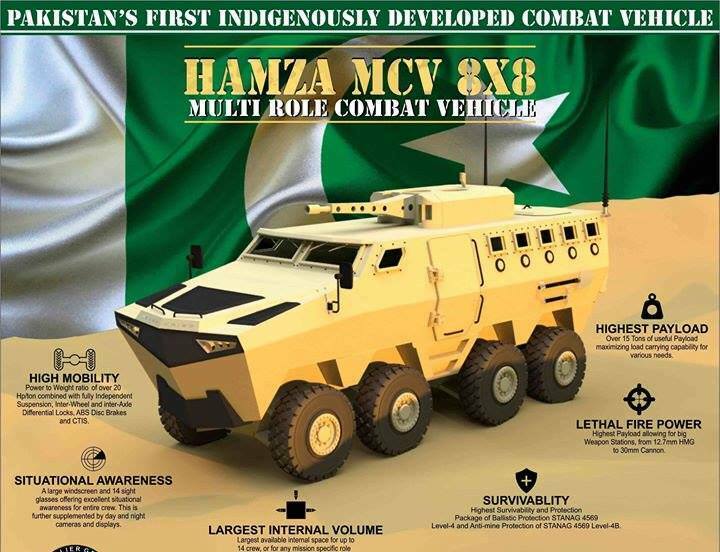 Hamza MCV was recently unvieled and is underdevelopment by a private defence company. ISLAMABAD: The Supreme Court has summoned the Sindh police chief on March 26 to explain why certain laws and rules were disregarded for the proposal to buy armoured personnel carriers (APC) worth Rs1.23 billion from a Serbian firm. While issuing the directives on Thursday, the judges noted that some provisions of the constitution and rules of business of the province had been breached. 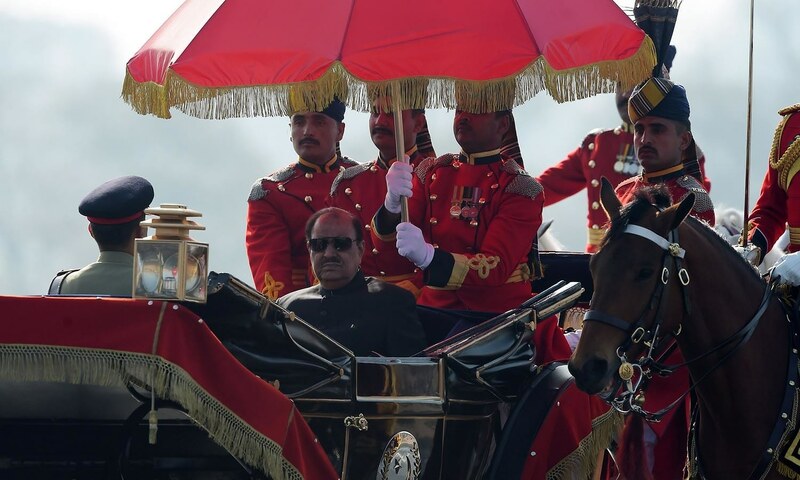 The agreement to buy military vehicles from Serbia had not been signed on behalf of the Sindh governor. The rules of business of Sindh and under Article 139 of the Constitution also relevant in Rule 24(IV) explicitly specify that the “contract shall be moved or executed on behalf of the governor”. The court observed that Farooq H Naek, the Sindh government’s counsel, also candidly stated the accord was not signed in compliance with the constitutional provisions as well as the province’s rules of business. The judges questioned then how could the Sindh police sign the agreement. “We found that Tanveer Ahmed Tahir (an AIG) signed the agreement and under his signature appears the rubber stamp of the Sindh IGP,” the court noted in its order. The three-judge bench of the apex court headed by Justice Jawwad S Khawaja was hearing the petition filed by Mahmood Akhtar Naqvi, who had challenged the Sindh police’s decision to purchase APCs to fight terror in Karachi. The plaintiff had alleged the Sindh Police department to buy the vehicles had signed in violation of rules a purchase order with a Serbian company, Yugo Import, instead of buying them from the Heavy Industries Taxila. The court directed the Sindh government to submit a report explaining how the violation took place and the reasons of signing the agreement on March 15, 2013, with a foreign company. The provincial government has also been barred from buying a helicopter and 86 fire tenders until the decision of this case. The bench also took notice of the appearance of Irfan Qadir as the Sindh government’s counsel without submitting a power of attorney. The judges were concerned as to how and on what basis Qadir had appeared in the last 11 hearings of the case. The judges asked Sindh Additional Advocate General Miran Shah to inquire which department had paid fees to Qadir. Shah, however, sought time. They questioned how Qadir could represent the Sindh IGP, when Naek was already representing the provincial government. The bench also directed the court office to find out from the Karachi registry whether any advocate had filed a power of attorney to authorise Qadir in the case. ISLAMABAD: The Supreme Court on Thursday deemed illegal the agreement regarding purchase of armoured personnel carriers (APC) by Sindh police from Serbia instead of the Heavy Mechanical Complex (HMC), Taxila. A three-judge bench headed by Justice Jawwad S Khawaja made the ruling, according to Express News,. Earlier on Wednesday, the deputy attorney general (DAG) raised doubts over the legality of agreement. DAG Khawaja Ahmad Hussain told SC, that inspector general (IG) police cannot sign such an agreement because the IG office is not an independent entity. Previously, Sindh police had entered into an agreement with Yugoimport SDPR, Serbian state-run company, for the purchase of 20 Lazar II armoured fighting vehicles of B-7 category that will cost Rs1.23 billion. Farooq Naek, counsel for Sindh government, however, stated that payment has not been made yet. He contended that the agreement was done with the approval of the chief minister while the finance department had allocated the amount. The SC on March 4 sought legal assistance from Attorney General for Pakistan over the purchase of APC by Sindh police from Serbia instead of the HMC, Taxila. The bench is taking up application filed by Mehmood Akhtar Naqvi regarding purchase of APC vehicles by Sindh police at a colossal amount. The DAG further stated that though the agreement was signed with the approval of chief minister Sindh, its status is not legal because under section 24(4) Sindh Rules 1996, governor signs such type of agreements after taking legal opinion from the law ministry. Upon this, the bench pointed out that nothing is mentioned about the Sindh governor in this agreement. It also made clear that if the agreement is illegal then it has no legal status. 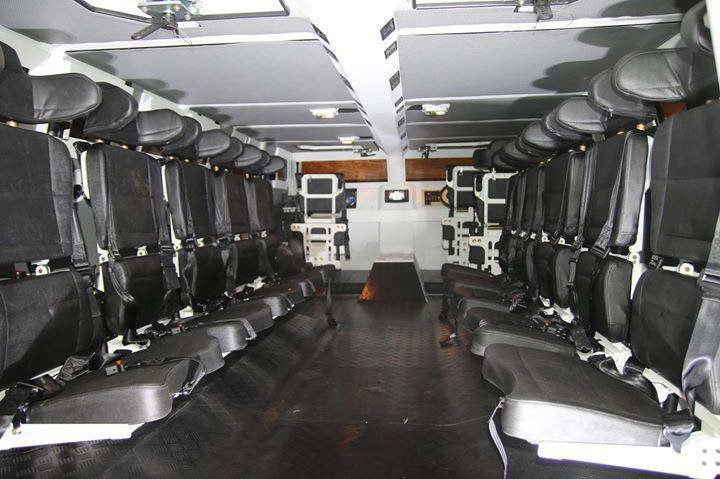 The court also observed that no advertisement was given regarding the purchase of APC by the Sindh police, adding that rules are very clear that the police cannot enter into agreement regarding the purchase of APCs worth Rs1.23 billion because it (police) works under the interior ministry. Earlier, unpleasant scene was witnessed before the court’s proceedings, when harsh words were exchanged between Irfan Qadir, counsel for Sindh police, and the bench members. 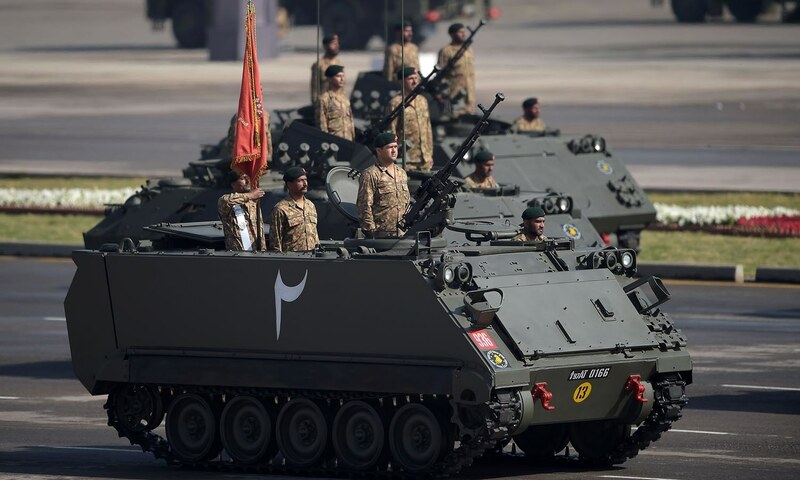 ISLAMABAD (Dunya News) – The Supreme Court (SC) of Pakistan on Thursday has declared the purchase of Armoured Personnel Carriers (APCs) from Serbia off limits by the Sindh Police instead of Heavy Mechanical Complex (HMC) from Taxila factory. Moreover, the SC has ordered Sindh Inspector General (IG) Ghulam Thebo to appear before the court on March 26. According to the details, the hearing was held by a 3-member bench headed by Justice Jawad S Khawaja. Government’s counsel Farooq H Naik said that the decision to purchase APCs from Serbia was not made by the authorities concerned. He requested the court to either ban the agreement or order the Sindh government to cancel the deal. The SC declared the agreement off limits and ordered the Sindh IG to appear before the court in the next hearing. The court also barred the government from purchasing as many as 86 fire brigade vehicles and a helicopter. The court censured the counsel for defense, Irfan Qadir for appearing before the court without advocacy certificate. Under which law IG Ghulam Thebo hired his separate counsel? Asked Justice Ijaz Chaudhry. Why are you posting all this crap to me when i am well aware of it i still do not understand. It was simple and plain political decision. Bribe is simpliest excuse to bail out without need to give an further explanations. For better actually, whoever dealt with India and Pakistan with weapon sales ended either in debts or major case of headache. Bribes, falsified loans, substandard maintenance, low to no crew training, refusals to pay... thanks but no thanks. 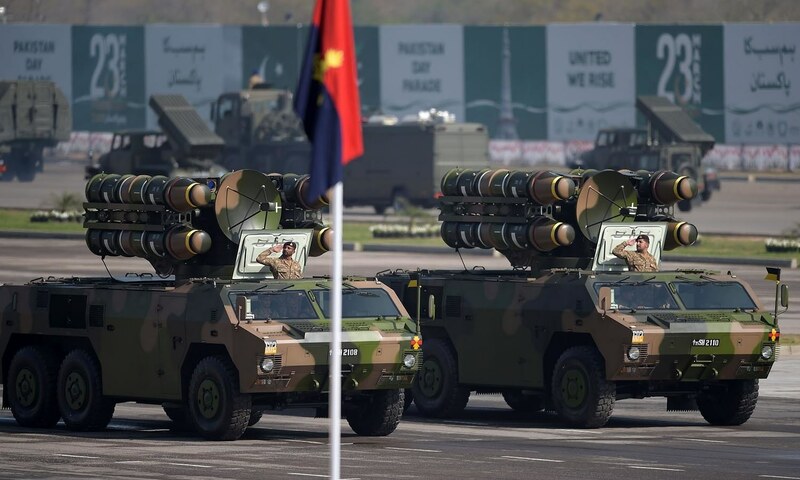 Pakistan became the first known foreign recipient of the Chinese LY-80 medium-range air defense system (HQ-16) using Chinese clones of Russian 9M317 surface-to-air missiles in a vertical launch version. 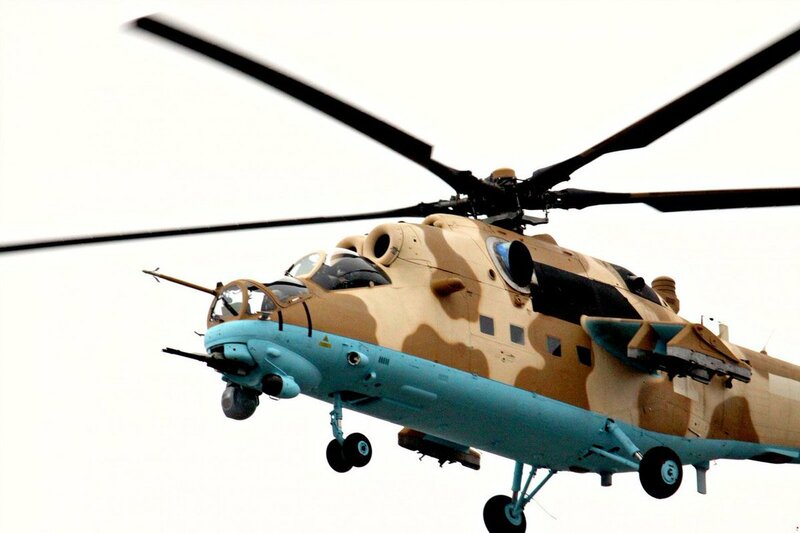 According to some reports, the HQ-16 complex was created in China with the direct participation of Russian developers with the legal transfer of relevant technologies. 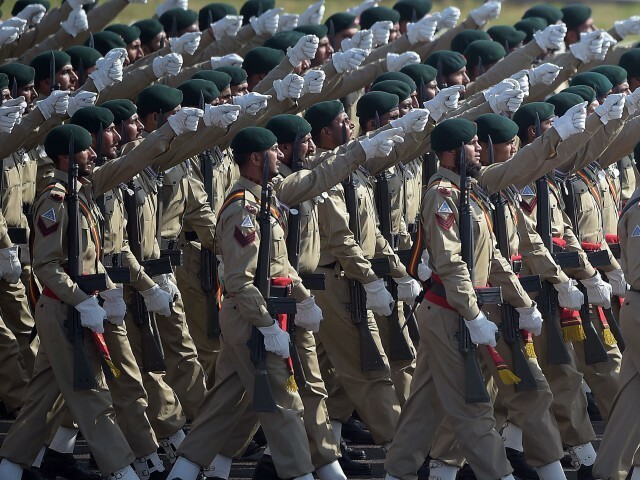 Is the pakistan army a good army? Is it strong and have growth over the last decade? Have they any interesting weapons? 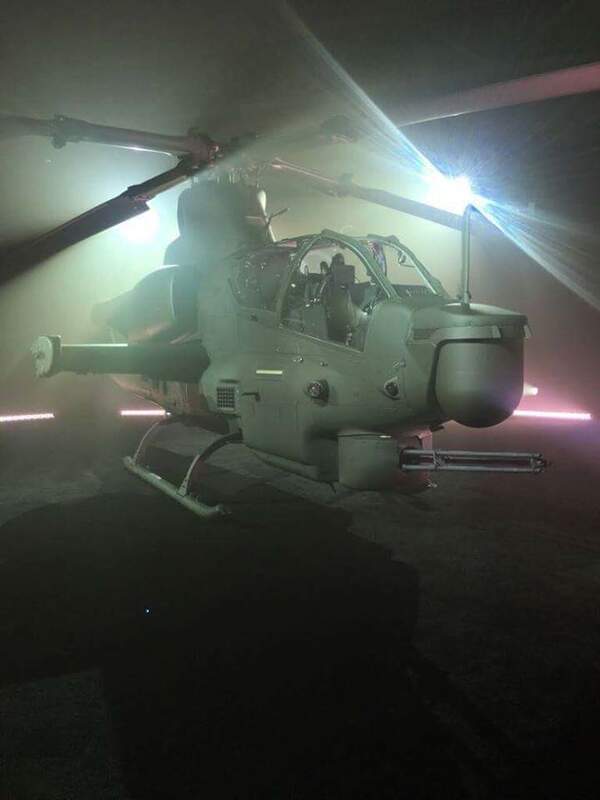 On the Pakistani web resources, photos of the first combat helicopter Bell AH-1Z Viper, built for the army aviation of Pakistan, appeared. 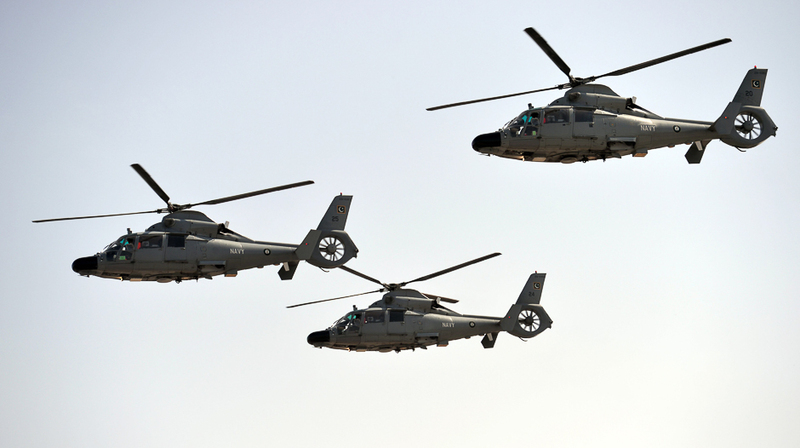 The helicopter with the Pakistani side number "786-061" is the first in a batch of three AH-1Z, which is reportedly to be transferred to Pakistan in late 2017. 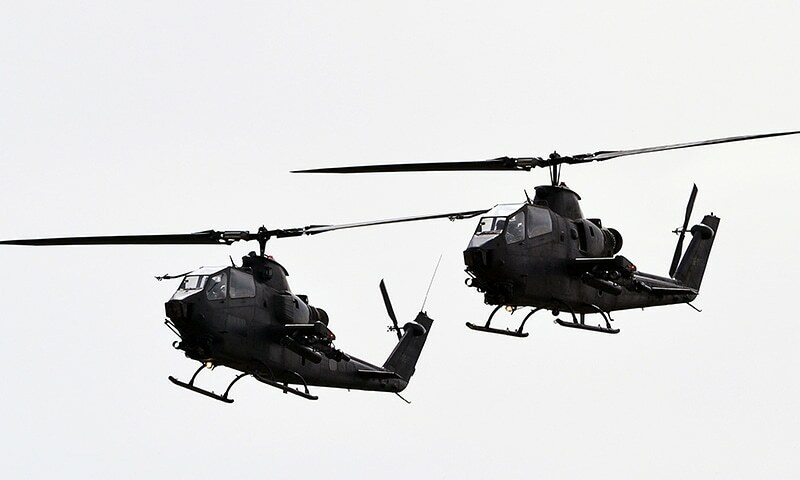 In total, Pakistan should receive 12 new AH-1Z helicopters, the remaining nine helicopters should be delivered by the end of September 2018. I don't know where to put that. Maybe mods have a better thread for this info. It's getting hot at the border. 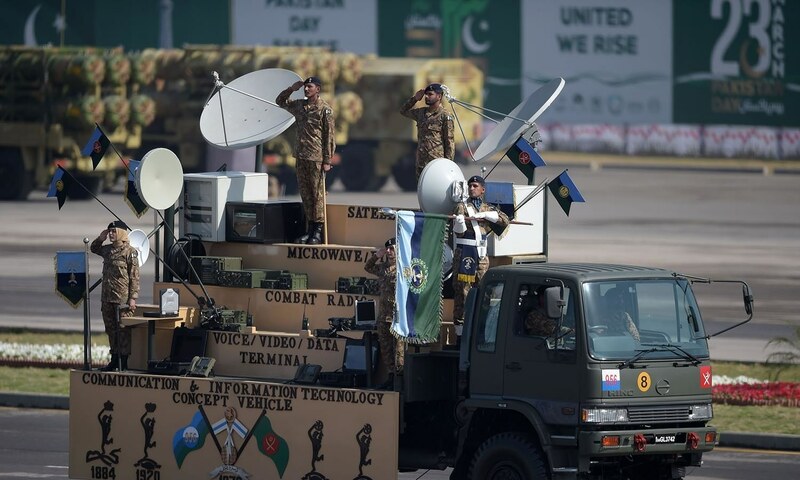 Multi-purpose attack helicopter Mi-35M at a military parade in honor of Pakistan Day. March 23, 2019. 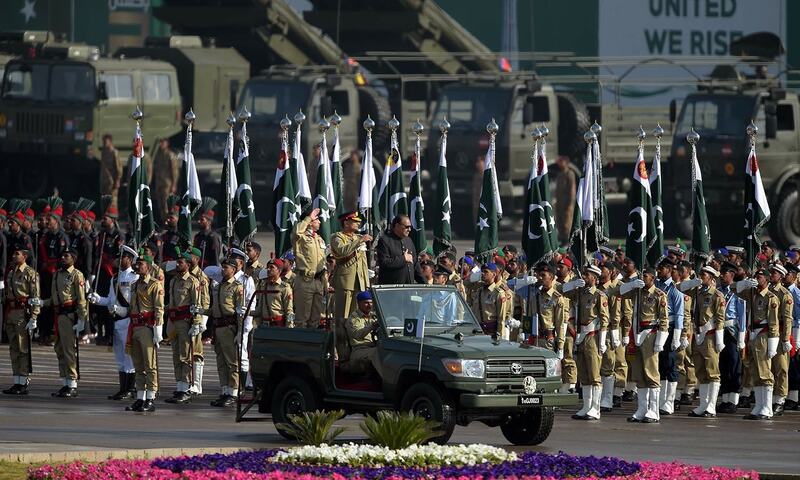 March 23, 2019 in Islamabad, a traditional military parade was held in honor of the 79th celebration of Pakistan Day. 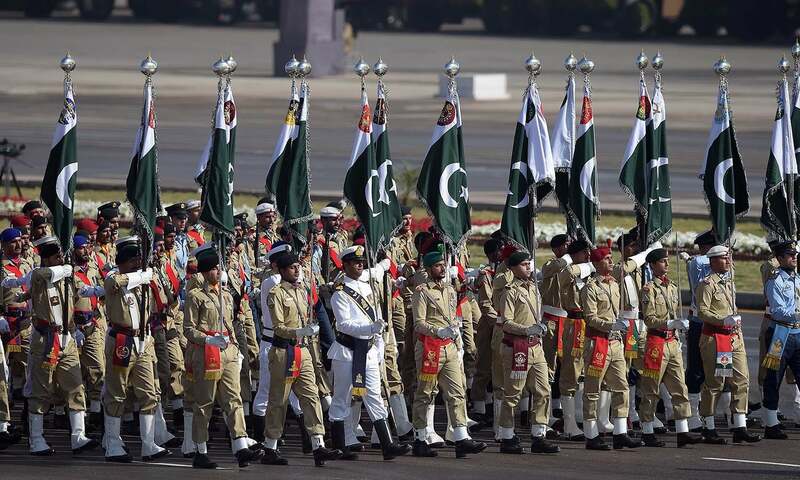 Pakistan Day, celebrated annually on March 23, is one of the main holidays of the Islamic Republic of Pakistan, which is celebrated in connection with the adoption of a resolution in Lahore in 1940, which initiated the movement for the formation of the state of Pakistan. 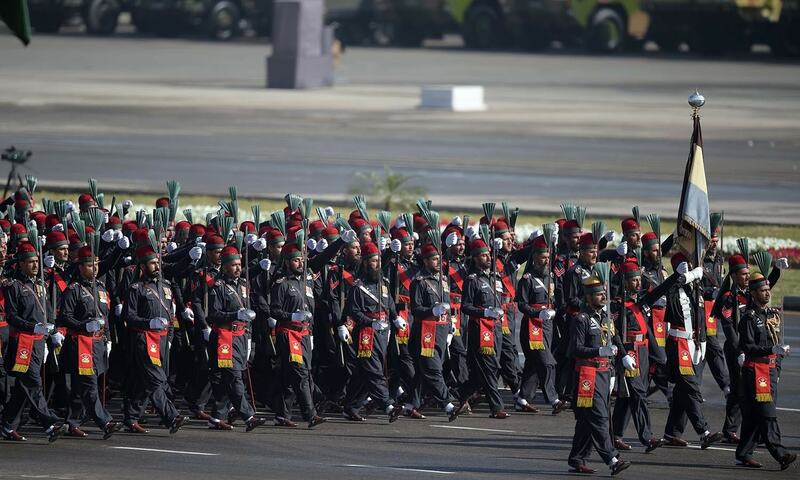 This year, Malaysian Prime Minister Mahathir Mohamad became the guest of honor of the parade. 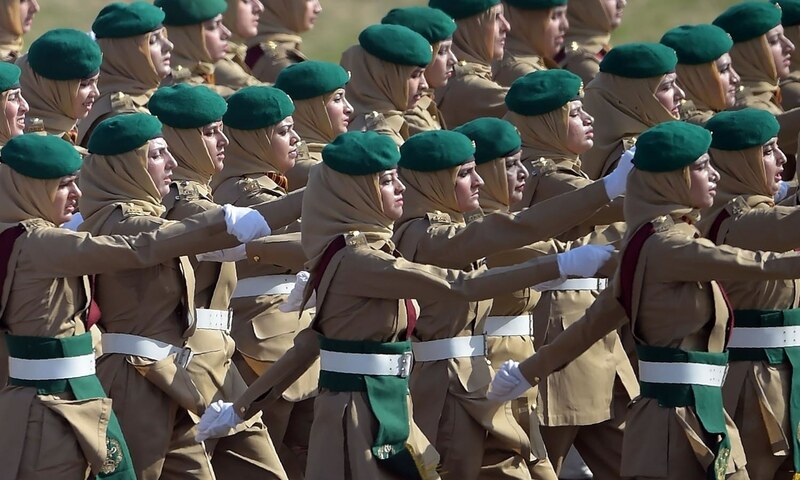 About 4,000 soldiers took part in the parade, including soldiers from Azerbaijan, Brunei, Bahrain, Saudi Arabia and Sri Lanka.